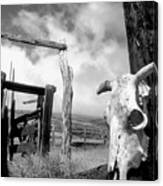 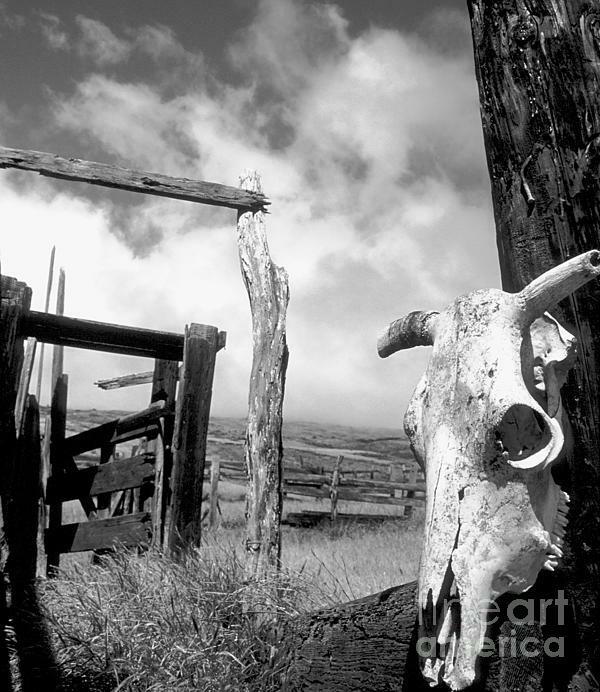 Cow skull mounted on a post outside a cattle loading area in Kaupo, Maui, Hawaii. 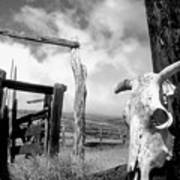 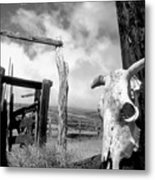 Awarded the State Open blue ribbon for black and white at the 78th Maui County Fair in 2000 and was also selected as a finalist in an international competition. Photographers note: The non glossy/non luster paper types such as archival matte seem to enhance the image best. Canvas works very well.